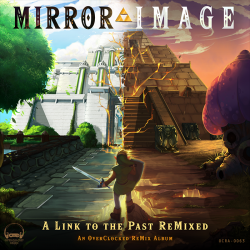 Mirror Image is a reinterpretation of the soundtrack to Nintendo's SNES masterpiece The Legend of Zelda: A Link to the Past. The music of the Legend of Zelda games has always been an integral part of the game experience, even being able to play musical instruments in the games themselves. We felt that A Link to the Past deserved more attention than it already got in the game music community, since many of composer Koji Kondo's greatest and most iconic themes originated from this game. In celebration of the game's 25th anniversary, we set out to honour the legacy of its soundtrack by creating an arrangement album while also staying true to the awesome diversity that defines the remixing community. We hope you enjoy it! This is less a review of the album itself and more a concern on how iTunes is grouping it. When I put Mirror Image on my phone, every song but the first ended up under a weird single heading. Everything still plays fine, but its displaying very oddly. Is this intended behavior? The "Grouping" list of a song includes every game represented, so in the case of this album, the first song had 7 games, and the rest had 1. If you're sorting by the "Grouping" field, it does a more odd result than if you sorted by, for example, Album Artist. Is there an easy way to change that? 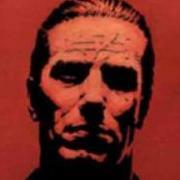 I futzed with iTunes for an hour last night with no luck. 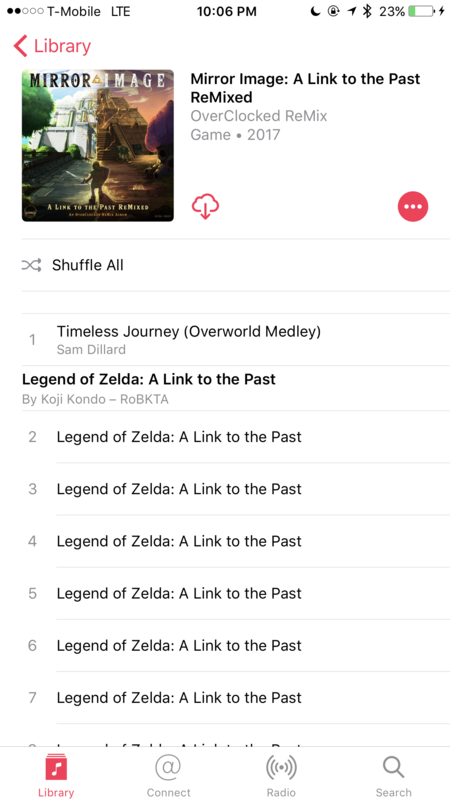 MP3tag can get it, but you should be able to select the first track in iTunes and change the Grouping field to "Legend of Zelda: A Link to the Past" and be set. bLiNd have my babies, Nayru's Hymn is EVERYTHING right now. This album is so great but I have the same problem on my iPhone. I tried to change the grouping field to "Legend of Zelda: A Link to the Past" like you said and I dowloaded MP3tag but now I really don't know what to do. 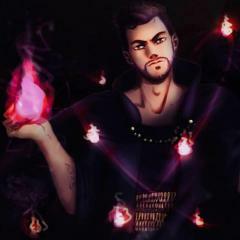 Can you give me clear instructions of what I can do to fix that ?